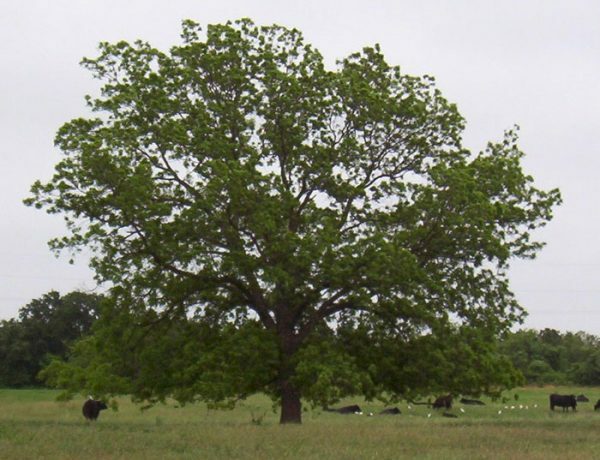 Rent a 2019 Maple Tree! A gift of a Sugar Maple Lease which provides 100% natural organic maple syrup, will delight your recipients all year long! First comes the handsome, personalized lease document. 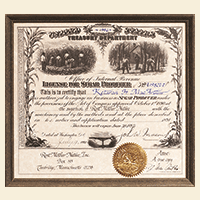 This reproduction of an 1890 U.S. Treasury “License for Sugar Producer” is printed on parchment and embossed with a gold seal. 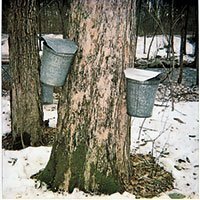 Then, three lively newsletters will keep lessees updated on the activities of the sugaring crew as it snowshoes its way about the sugarbush. 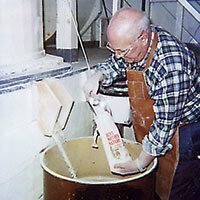 Maple sap is collected by connecting trees with environmentally benign tubing so that the clear, cold sap flows directly to the sugarhouse. In which – without using any chemical anti-foaming agents – we boil it down using a blazing wood fire. No petroleum fumes pollute our mountain air. Transforming raw sap to syrup takes dedication, snowy walks, muscle, fire and patience. It’s a slow process to boil down 40 plus gallons of sap into one gallon of pure wood-fired syrup. Talk about reducing a sauce! 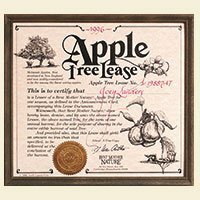 A Sugar Maple Tree Lease is a delightfully different gift for anyone on your gift-giving list. Their tree produces delicious 100% natural and organic maple syrup made using the most environmentally-safe methods -no formaldehyde pellets in our trees, no anti-foaming chemicals in our boiling vat, and no petroleum fumes in our mountain air. 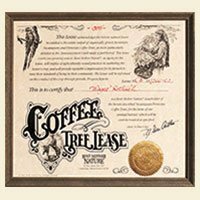 Rent a 2019 Fair Trade Coffee Tree! 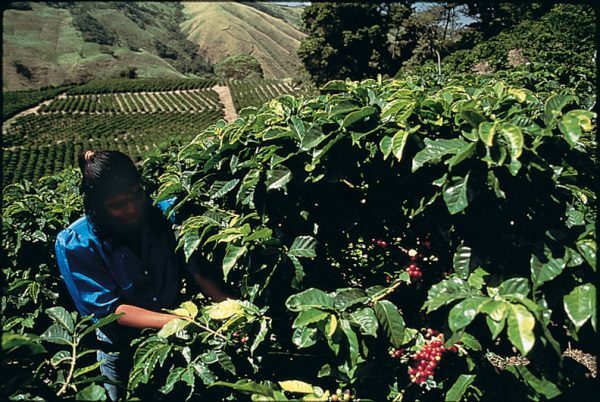 Give someone Fair Trade coffee beans grown in Nicaragua. The gourmet coffee beans are certified organic and kosher. The taste and aroma are exquisite. 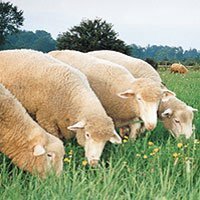 Fair Trade encourages & teaches ecologically-sound methods of agriculture. You are helping some of the poorest farmers in the world double their standard of living. 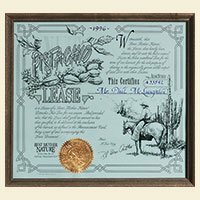 The gift starts with a personalized, parchment Lease Document and Announcement Folder, followed by Progress Reports that will glow with local color, describing the elaborate ritual involved in making your gift recipient’s coffee beans- the long journey from the mountains to their cup. 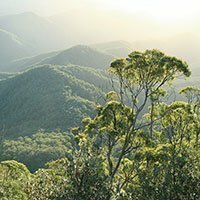 Coffee Leases cover more than one tree, since a single tree will yield only enough for one pound of finished coffee beans. Lease a Fair Trade Coffee Tree for a friend who won’t be “seen without their caffeine”! They will receive a blend of dark and medium roasted, 100% organically grown, aromatic coffee beans from the mountains of Nicaragua. 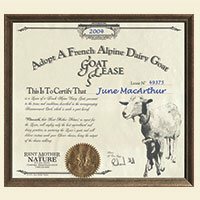 Our farmers are paid a premium so that we can offer you the “cream of the crop”. Rent a 2019 Honey Hive! Honey-making is a season-long job for bees and beekeepers. These flower-specific honeys have a fragrance and taste distinct to each delicious honey. We garner the different honeys at precise intervals to avoid the mixture of floral combinations. The result? Pure, 100% natural honey straight from the hive: Rich in texture, uncooked, unfiltered & with all its nutrients intact. Lots of work (just ask the bees! ), but the results are worth it! Rent a Honey hive for someone who would enjoy Honey from their own hive. 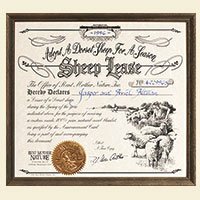 The Lease Document is calligraphed with your recipient’s name, and comes with an Announcement Card explaining the program. Periodic Progress Reports provide facts, anecdotes and folklore about the hive. We can even send a photograph of the hive “hard at work”. Give a friend honey from their own hive or hives. Choose from our 4 (Raspberry, Blueberry, Cranberry & Wildflower) delicious “flower-specific” honeys – each with a delicate, yet distinctive, fragrance, color, & taste. These pure, 100% natural honeys, straight from New England honey hives, are uncooked, unfiltered, & all of their nutrients are intact! Rent a 2019 Pistachio Tree! Share in the harvest of California “high desert”, sun-ripened (roasted and salted) pistachios – extra large and meaty with natural non-dyed shells. 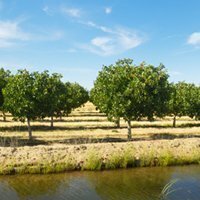 Our California farmer says: “We honestly believe that we produce the best-tasting and largest pistachio nuts in the world”. He is absolutely right! These pistachios have twice been judged as the “World’s Best Tasting” in blind-taste contests. Because the average tree is 12-16 feet tall and will yield 30 to 40 pounds of nuts, we will divide the harvest from each tree among a dozen tree-tenants. 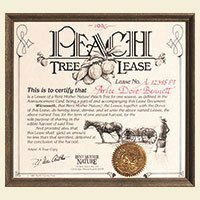 Rent a pistachio tree for someone who would enjoy pistachios from their own tree. Treat a friend to the harvest from their own California pistachio tree. These “high desert”, sun-ripened (roasted and salted) pistachios, with natural non-dyed shells, are the best-tasting and largest pistachio nuts in the world! They have twice been judged as the “World’s Best Tasting” in blind-taste contests. Rent a 2019 Wild Rice Bed! True Wild Rice is actually a variety of grass, and very different in look and in taste from the black cultivated “wild rice” mixtures usually sold in stores. 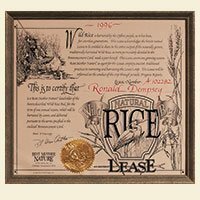 Pure, natural, uncultivated wild rice is tan in color, cooks in half the time of paddy-raised “wild rice”, and has an incomparable nutty flavor. Tribal members of the Ojibwe Lake Reservation Tribal Council will hand-harvest this uncultivated wild rice for you. Using long forked poles, the harvesters bend the rice stalks into the canoes, where the “knockers” beat the ripe rice kernels off the stalk. The rice kernels that fall into the water now become the seed for next year’s harvest. The Lease Document is calligraphed with your recipient’s name, and comes with an Announcement Card explaining the program. Periodic Progress Reports provide facts, anecdotes and folklore about the lake. Treat a friend to the incomparable taste of true wild rice. 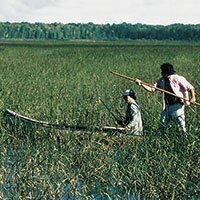 Tribal members of the Ojibwe Reservation in Minnesota will hand-harvest natural, uncultivated wild rice for you. Using long forked poles, the harvesters bend the rice stalks into the canoes, where the “knockers” beat the ripe rice kernels off the stalk. Rent a 2019 Lobster Trap! Next best thing to owning a fleet! We’ll set your friend’s lobster trap for any day they select. Our “pier-fresh” live lobsters are sweeter, more tender, better tasting, and just all ’round better than you can get anywhere else. No supermarket tank or restaurant can provide you with a fresher lobster. As the delivery day nears, our lobstermen head out from sleepy harbors at dawn to check their heavy traps by pulling them up onto the pitching deck. It can take up to 50 traps to catch 6 lobsters. Then it’s back to port in the afternoon, where the lobsters are sorted, selected, packed (with seaweed), and shipped via FedEx Priority overnight. We even include lobster bibs and “how to eat a lobster” instructions. We do all the work and you get all the raves (while helping support America’s fishermen). Sorry, live lobsters can’t be shipped to Hawaii or Alaska. Give someone lobsters from their own traps. We’ll set your friend’s lobster traps for any 7-day period they select. 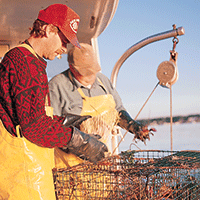 We’ll bait, & haul the traps; weigh, pack & ship the lobsters to arrive on the date your gift recipient chooses. These “pier-fresh” live lobsters are sweeter, more tender, better tasting, and just all ’round better than you can get anywhere else. Sorry, lobsters can’t be shipped to Hawaii. 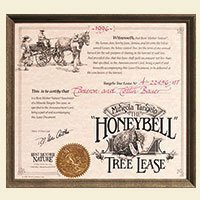 Rent a 2020 Honeybell Tree! A holiday gift with a harvest that says “Happy New Year”. The Minneola Tangelo or “Honeybell” is a hybrid, combining the delicate, tart taste of juicy grapefruits with the sweetness of tangerines! 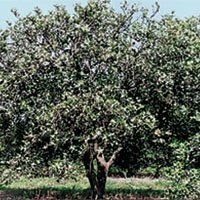 Grown primarily in the Indian River area of Florida, there are very few of these hybrid trees – making the fruit quite rare. Each piece of fruit is hand-picked. Often called a “Honeybell” because of the shape, it is incredibly juicy, sweet and as easy to peel as a banana. This luscious harvest is delivered at the the end of January. 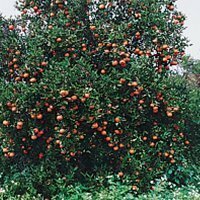 Rent a honeybell tree for someone who would enjoy honeybells from their own tree. Treat a friend to the harvest from their own Minneola Tangelo tree -a hybrid that combines the delicate, tart taste of grapefruits with the sweetness of tangerines! Often called a “Honeybell” because of the shape, it is incredibly juicy, sweet & easy to peel. Grown only in Florida’s Indian River region, the fruit is quite rare. Sorry, Florida Citrus can’t be shipped to Alaska or Hawaii. 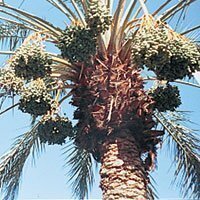 Rent a 2019 Date Palm Tree! The Bible and the Koran mention dates and date palms more frequently than any other fruit. 68 feet below sea level in the 110-degree heat of the California desert, a five-acre family farm grows organic dates as in Biblical times – without any artificial chemicals, sprays, fumigants, or sulfur, and without steaming, hydrating or using preservatives. Large, sweet and meaty, the Medjool date is a three or four bite dessert all by itself! This farm’s Medjool dates won first prize last year as the finest quality organic date grown in North America. There is no comparison to the chemically treated, steamed, water-added dates found in supermarkets. Progress Reports will relate exotic lore & tradition as the dates progress from the “Kimri” stage through “Rutab” and harvest. They will be rushed to your recipient(s) in October. We do all the work and you get all the raves (while helping support America’s small family farms). Treat a friend to certified organic medjool dates from their own date palm tree on a small California farm. These dates are grown as in Biblical times – without using any chemicals, sulfur or artificial hydration. Each plump and mouth-watering date is a 3 or 4 bite dessert all by itself! Rent a 2019 Organic Cocoa Tree! Your 100% organic cocoa will also be naturally processed so that it has a smoother taste, lighter color and more refined aroma than commercial-grade cocoa. Because most of us only know chocolate that is packed with sugar, this organic cocoa is a taste revelation. Cocoa from Costa Rica has a distinctively chocolate flavor, with a floral bouquet. Choose Baker’s cocoa if you don’t want any organic sugar or dry milk added. Cacao, the fruit from which chocolate is made, is the ideal agricultural commodity for the rainforest because it depends on the rainforest canopy for its survival! 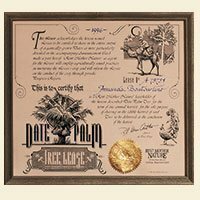 The Rent Mother Nature Fair Trade Cocoa Lease meets the highest standards for social and environmental responsibility. The farmers receive fair compensation to support their families and communities and incentives to work their land wisely, while you enjoy this delicious product and help protect the rainforest of Costa Rica. We do all the work and you get all the raves (while helping support sustainable agriculture). 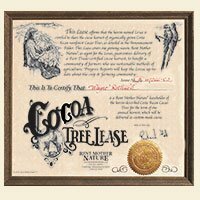 Giving a friend the harvest from their own Fair Trade cocoa tree will help protect the Rainforest of Costa Rica & support a farmer’s cooperative. This 100% organic, naturally processed cocoa has a smoother taste, lighter color & more refined aroma than commercial-grade cocoa. Choose cocoa (hot chocolate) or, for the chef in your life, baker’s cocoa (no sugar or milk). Rent a 2019 Grapefruit Tree! Share in the harvest of Ruby-Red Grapefruit! Tree-ripened, hand-selected & shipped at the peak of perfection. Unbeatable in taste and ever so sweet & juicy. The grove is located in the famous Indian River region of Florida, noted for its ideal climate for growing the best citrus fruit. 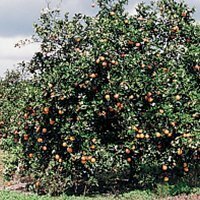 Rent a grapefruit tree for someone who would enjoy grapefruit from their own tree. You can reserve one of these special trees for yourself or as a gift, and bring Florida to your (or your recipient’s) door. 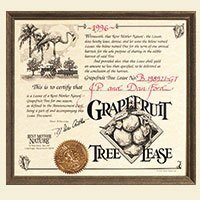 Treat a friend to the harvest from their own grapefruit tree, which stands in a small grove in the famous Indian River region of Florida. These premium ruby-red grapefruit, unbeatable in taste and ever so sweet & juicy, are hand-picked & shipped at the peak of their tree-ripened, in-season perfection. Sorry, Florida Citrus can’t be shipped to Alaska or Hawaii. Rent a 2019 Apple Tree! High on a New England hillside there’s a McIntosh apple tree for you or your gift recipient! In late October, we will pick, pack, and ship some of the best Macs your friends have ever tasted. Guaranteed to be in perfect condition. New England apple recipes included. 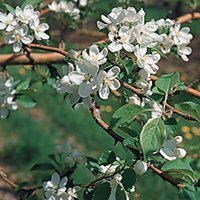 Rent an apple tree for someone who would enjoy apples from their own tree. Treat a friend to the harvest from their own McIntosh apple tree in a small New England orchard! These premium apples, picked at their peak of perfection, are delivered as Mother Nature intended: fresh, crisp, juicy, sweet, tree-ripened & pesticide-free. Guaranteed to be the best Macs your friends have ever tasted.